All these yummy Easter treats are going to get the best of me. I don't know what is tougher - Making all these yummy treats and trying to keep them from being eaten before the big day? Or making all these yummy treats and not being able to eat a single one? That dairy allergy is really putting a cramp in my treat eating game. 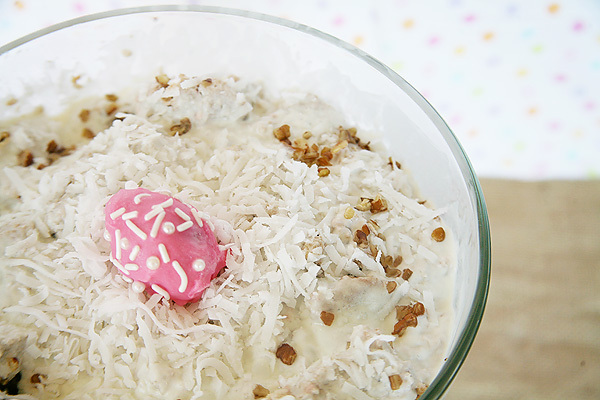 I love a good trifle, and while my cooking skills aren't Top Chef worthy, I like to think this little concoction that I came up with isn't so bad at all. 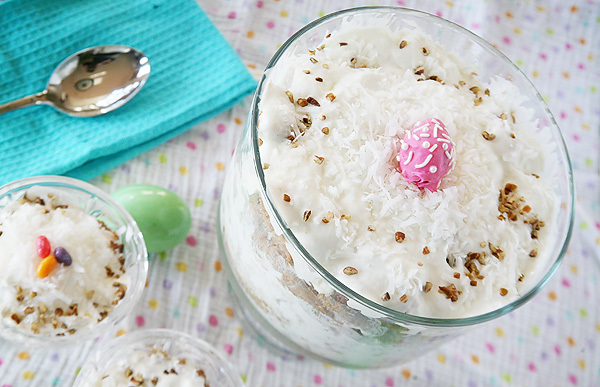 This Coconut Carrot Cake Trifle rarely lasts very long in my house, and is the perfect addition if you are looking for something a little different for your Easter dessert table. 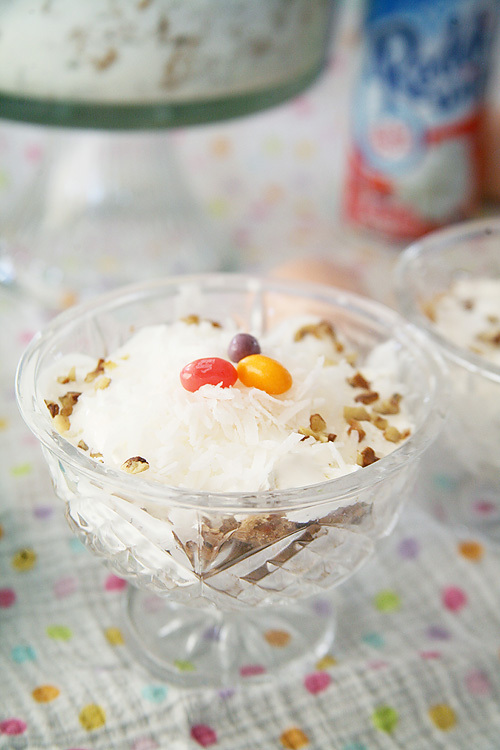 I am sharing the recipe over on Savvy Sassy Moms today and you can find the post HERE. Make the hop and enjoy!